Hide this Project (Greenwood Estate Phase 2) Discover properties in other projects by hiding the ones that doesn't interest you. You won't see them in your searches further but you can unhide anytime later. Hide this Dealer (Amol) Discover properties by other dealers by hiding those whom you have already spoken to. You won't see them in your searches further but you can unhide anytime later. Hide this Dealer (sachin jadhav) Discover properties by other dealers by hiding those whom you have already spoken to. You won't see them in your searches further but you can unhide anytime later. Hide this Dealer (Gaurav Bhosale) Discover properties by other dealers by hiding those whom you have already spoken to. You won't see them in your searches further but you can unhide anytime later. Greenwood Estate Phase 2, an upcoming residential development by Ecostar and Qualcon Properties is located in New Panvel, Navi Mumbai. The project offers well designed 1RK, 1BHK and 2BHK apartments which are conceptualized to facilitate the needs of potential homebuyers. Panvel is a beautiful city located in Navi Mumbai. It is a combination of splendor and ease that is far from pollution and noise yet catering all the needs of people living in. 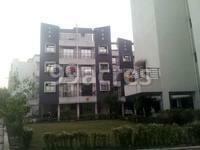 It is located closely to the Mumbai highway connecting to Pune. Here is a synopsis of the advantages the area has over its nearby localities. In which area is Greenwood Estate Phase 2 located?The project is situated in Panvel, Mumbai Navi. What are sizes of apartments in Greenwood Estate Phase 2? The apartment sizes in the project range from 353.0 sqft to 1076.0 sqft. 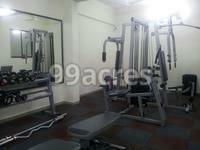 How much is area of 1bhk in Greenwood Estate Phase 2? The area of 1BHK units in the project varies from 450.0 sqft to 650.0 sqft. 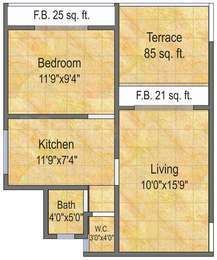 What is the area of 2 bhk in Greenwood Estate Phase 2? The size of a 2BHK unit in the project ranges from 635.0 sqft to 1076.0 sqft. 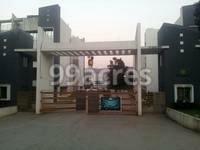 How much is price of 1bhk in Greenwood Estate Phase 2? The project offers 1 BHK units within Rs. 2700000 to Rs. 4000000. How many towers are there in Greenwood Estate Phase 2? There is 8 tower in the project, which offer a total of 222 housing units. H 2 104 GREENWOOD ESTATE HEYDUTNE TAL PANVEL DIS RAIGADH NEAR BY TALOJA M.I.D.C HINDUSTAN COY. Hi Suresh, if you have a flat to rent, we suggest you to post your advertisement here: http://www.99acres.com/do/buyourservices You may write to us at feedback@99acres.com or call us at our Toll Free # 1800 41 99099 [Monday - Saturday 9:30AM to 6:00PM IST] for further assistance. Hello Madam, I am Dev, a property adviser. If you need any help please visit my Vcard and reply. Thank you.